The lightest SE Series camper. 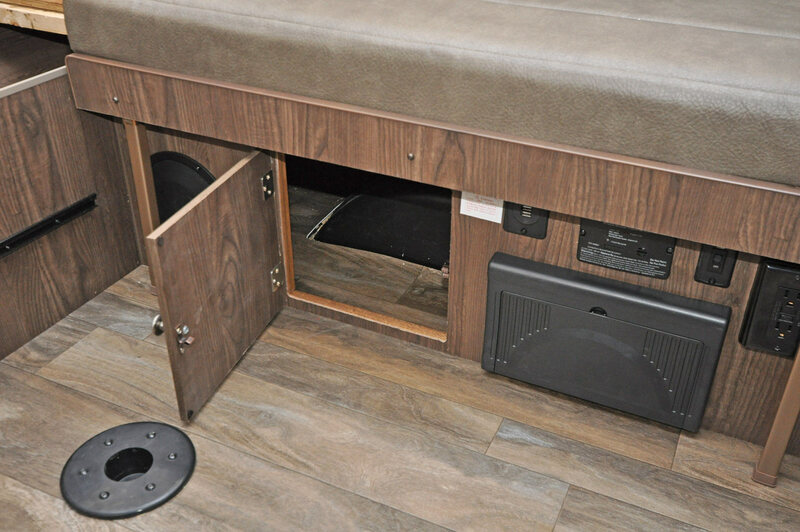 The smallest footprint of any SE Series camper. Travel Length:brochure says 12'; actual (with spare tire) - 12' 6"
176LTD - Similar 8' layout but with a different dinette set-up and not in the Sports Enthusiast series. 206STSE - A 10' SE camper, but with a storage trunk on the front (so it's like pulling a 12' camper. 228BHSE - A 12' Sports Enthusiast camper, also with four beds total. The non-Sports-Enthusiast predecessor of the 176SE is the 176LTD. 2017 model year shown. Shown with optional equipment (power lift system).